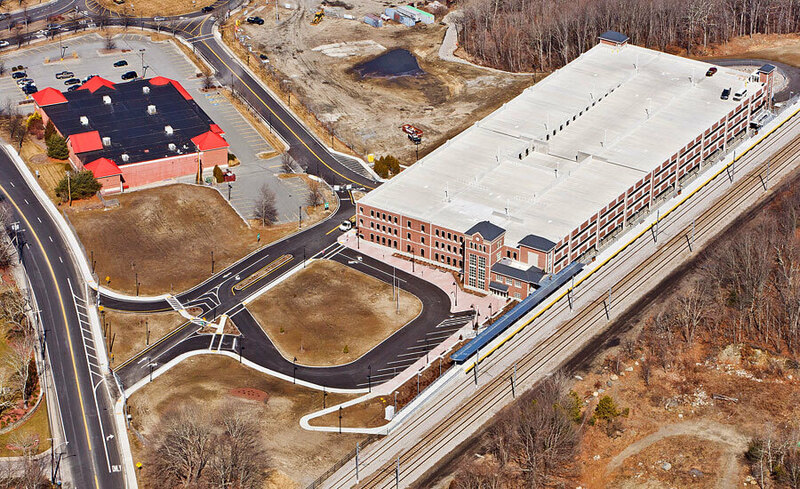 Wickford Junction Commuter Rail Station - Manafort Brothers Inc. 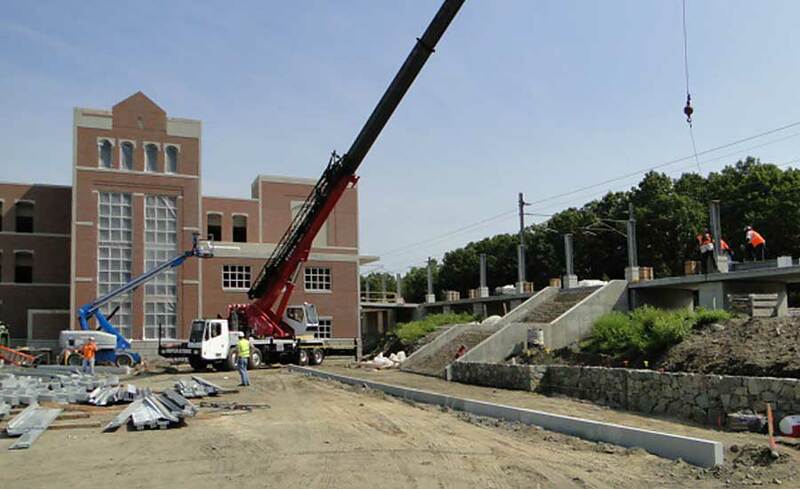 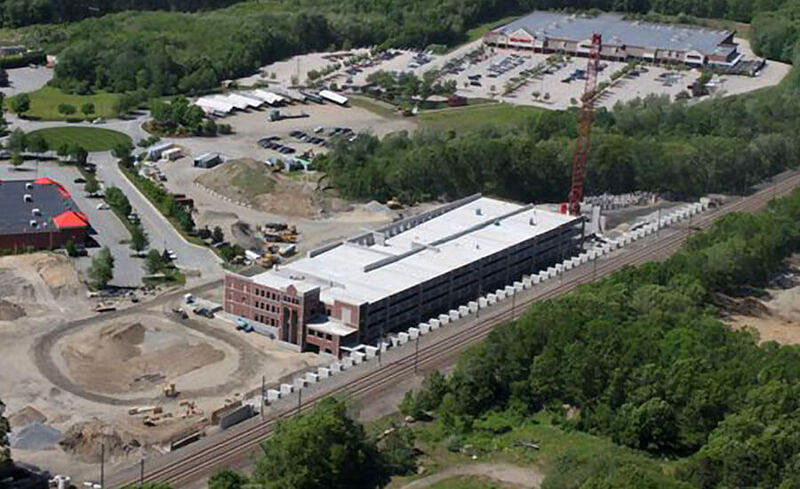 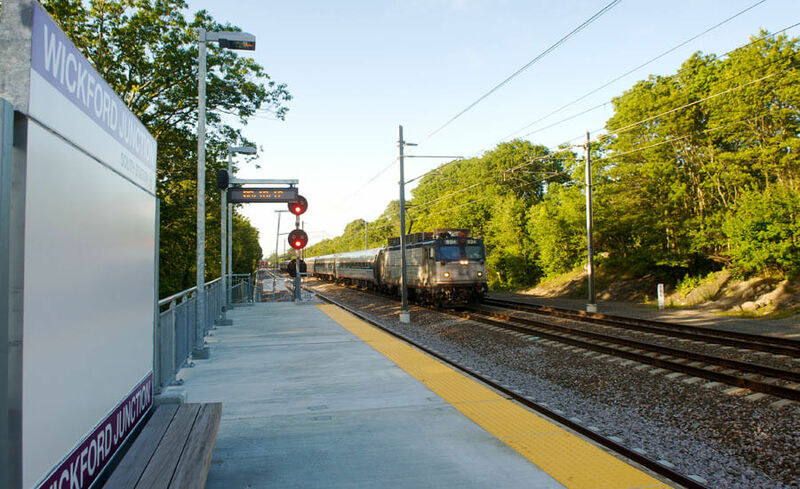 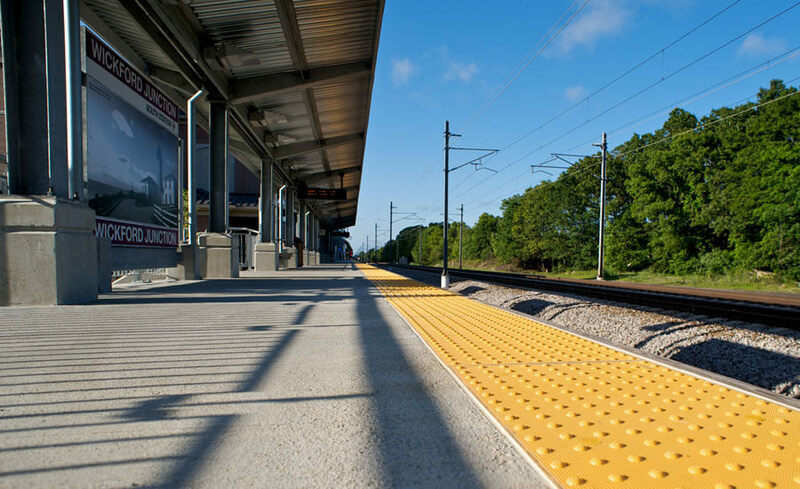 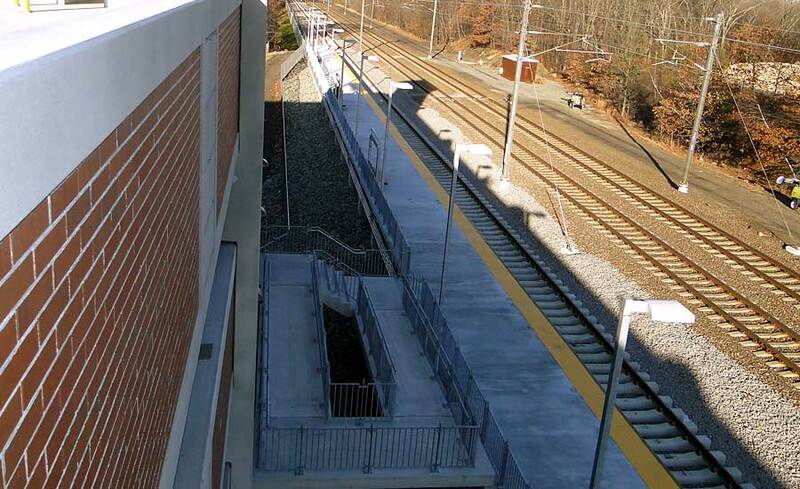 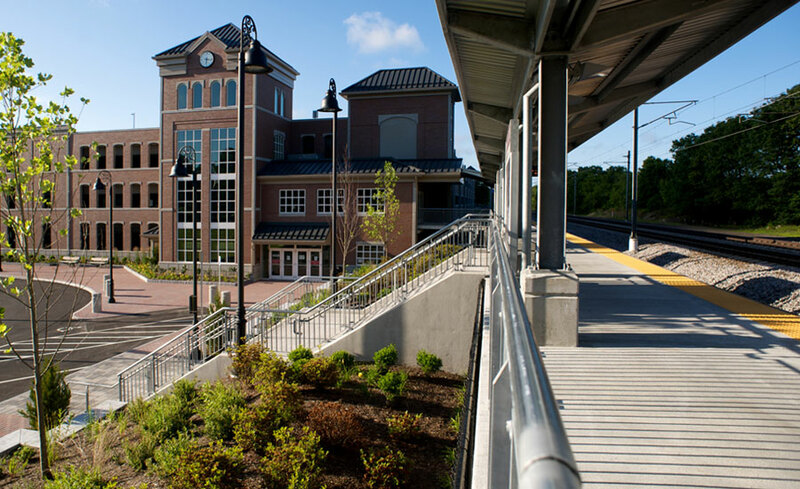 The Wickford Junction Commuter Rail Station Project was the first Design/Build and Public Private Partnership Project for the State of Rhode Island Department of Transportation. 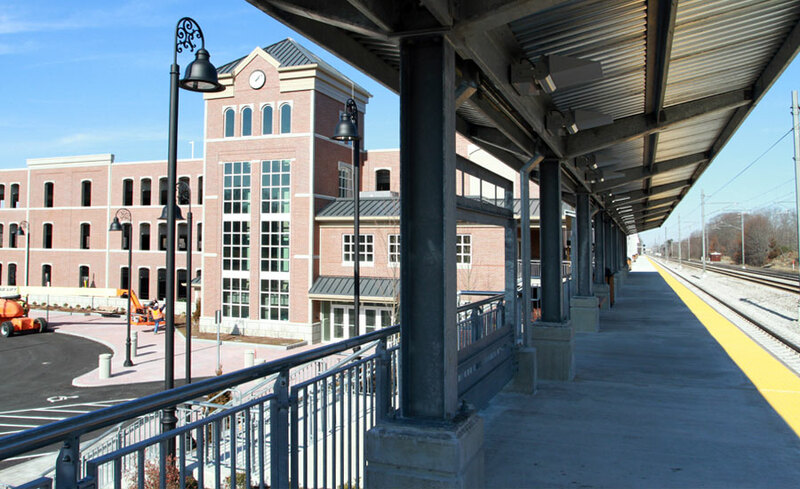 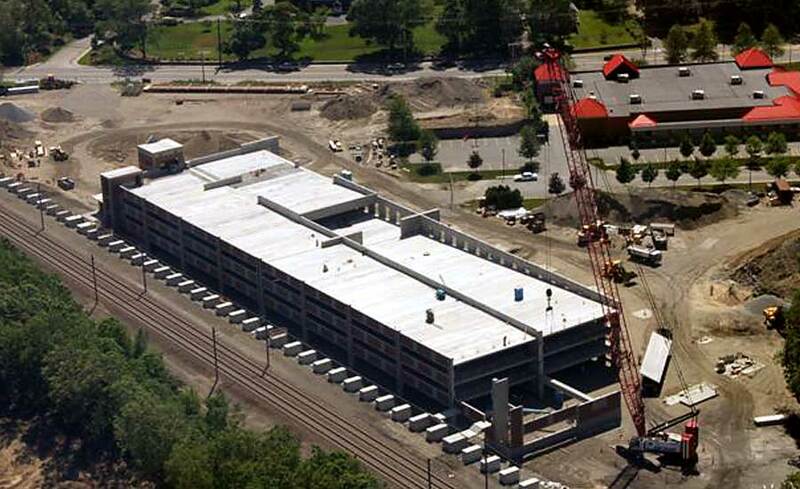 The project consisted of the design and construction of an 1100-space parking garage, an 850 ft high level platform, train station lobby, 3700 feet of new rail bed construction, on and off-site roadwork, and decorative hardscape and plaza work. 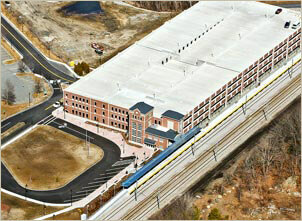 This Station is located on the Northeast Corridor with MBTA providing commuter service. 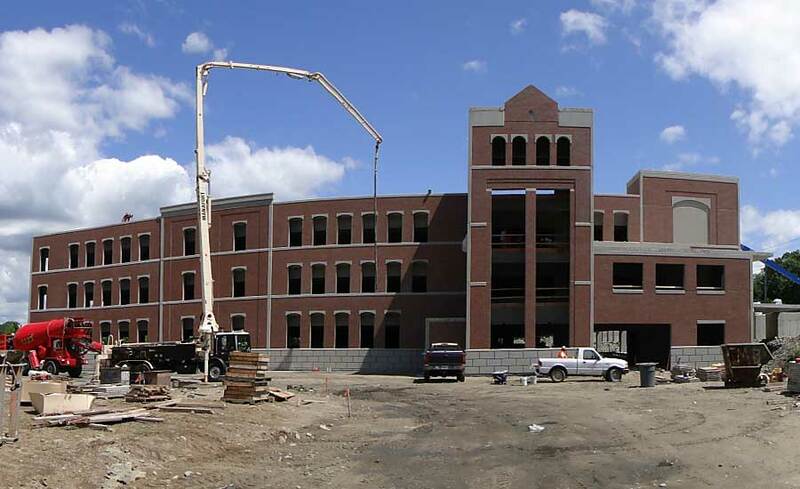 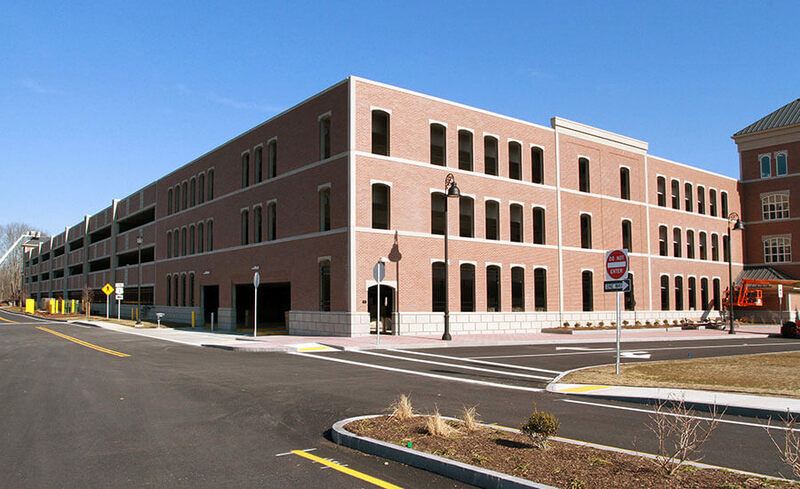 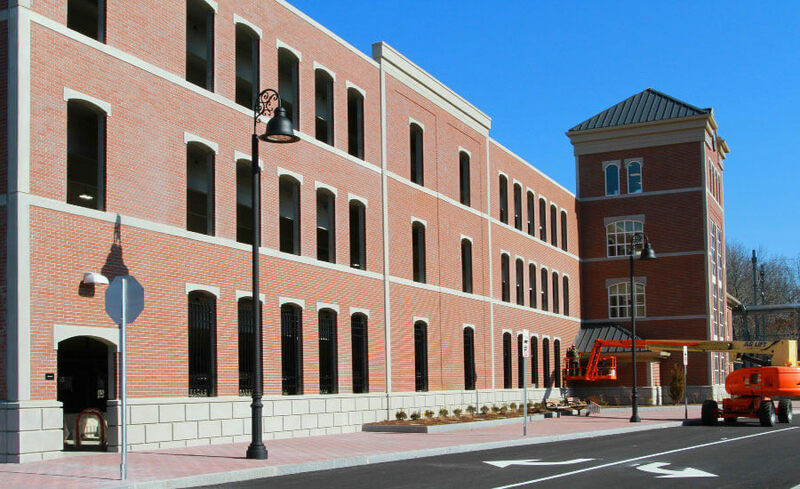 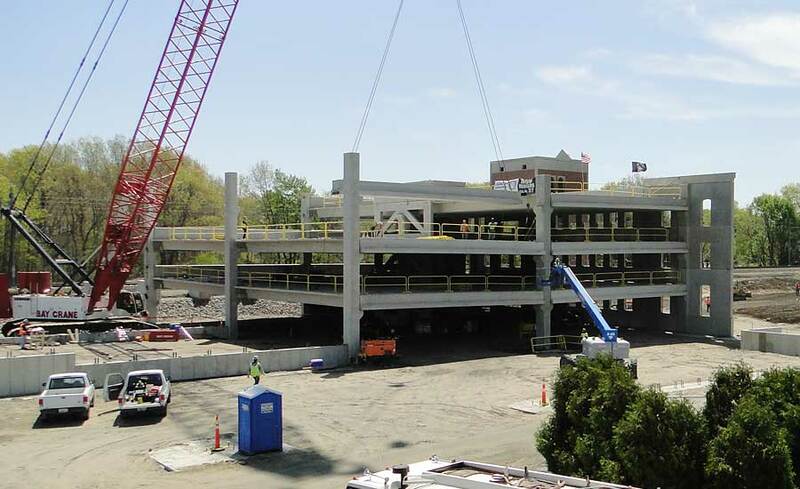 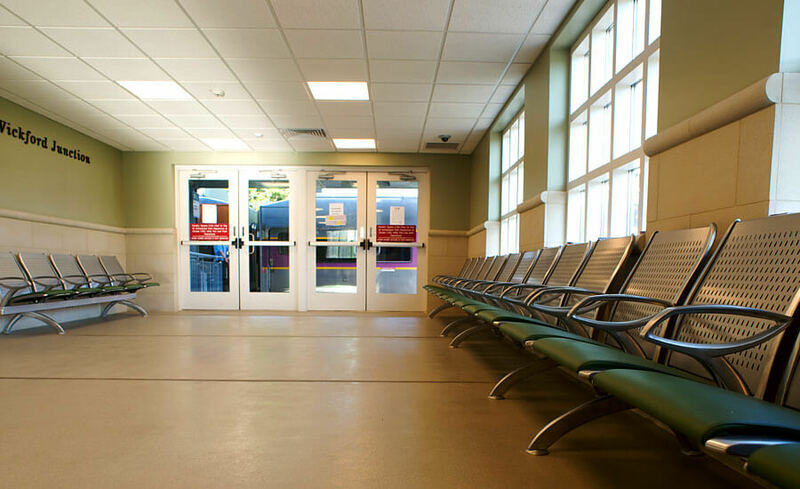 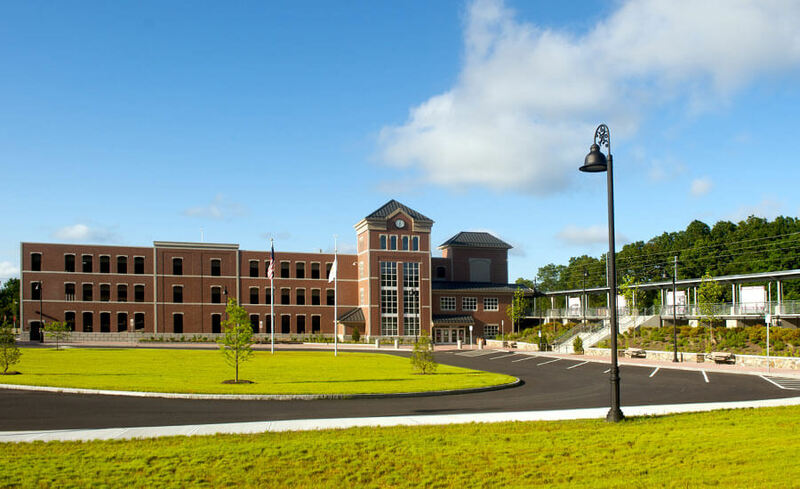 The project was completed under budget, ahead of schedule, and was the recipient of a number of regional and national awards, including CMAA’s 2012 New England Infrastructure Project of the Year and an Honorable Mention for their National Project of the Year in the same category. 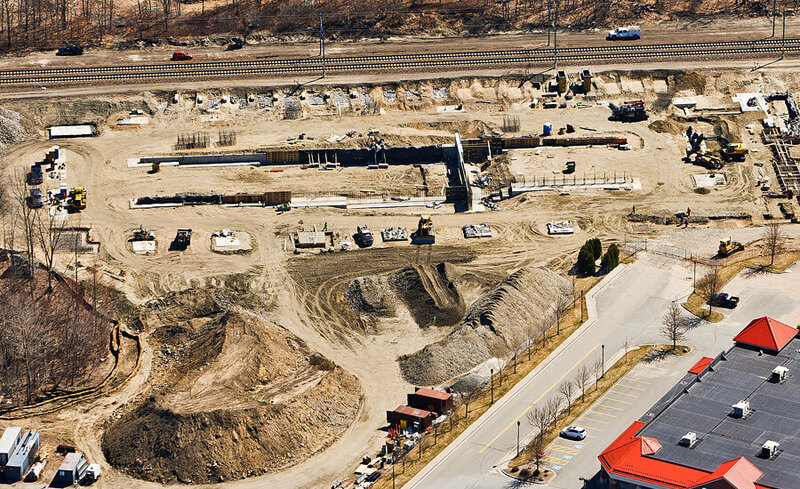 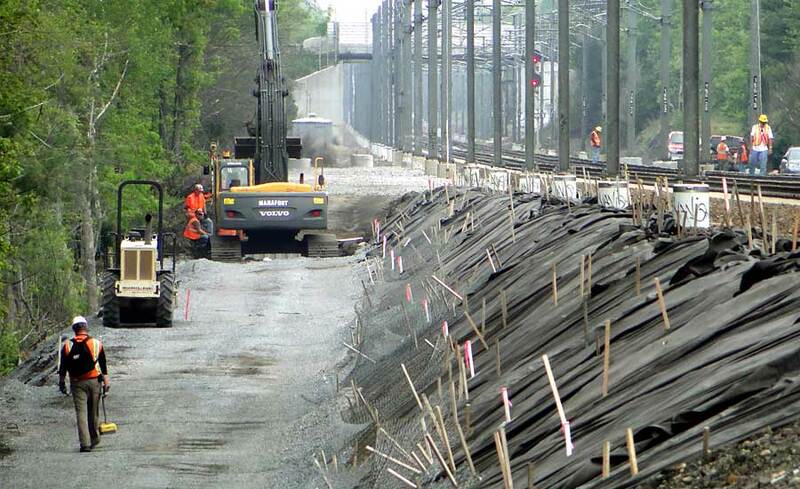 Manafort served as Prime Contractor for the project and self-performed a majority of the work including retaining wall installation, excavation, parking garage concrete foundation installation, cast-in-place concrete pile cap construction, onsite pre-cast concrete platform fabrication and all pre-cast concrete platform installation.